Most artists do self-portraits from time to time. There are no modeling fees and no complaints about holding long poses! I'm very fond of this painting I did at a Kitty Wallis workshop on Wallis paper using her underpainting and colorist techniques. I'm grateful to have studied with Kitty. Click here to read a biography of this fascinating artist, learn about her famous paper, and see an example of her work. 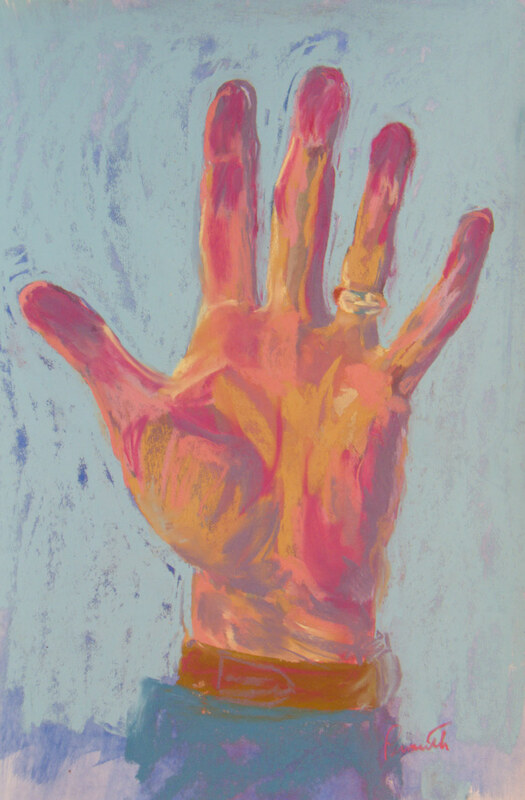 If you've been reading this blog for a while, you'll know that I very much enjoy painting hands!